After dinner we were trying to decide what to have for dessert, the subject of mince pies was brought up briefly, but frankly we’ve eaten quite a lot of those over the last few days! There are still two boxes in the cupboard, but it was decided that we fancied something a little different this evening. I thought that there must be ice cream in the freezer and went to have a rummage to see what I could find. I couldn’t help but smile to myself when I spotted this tub. It was purchased well in advance of Christmas and had been forgotten about, I’m ashamed to say. 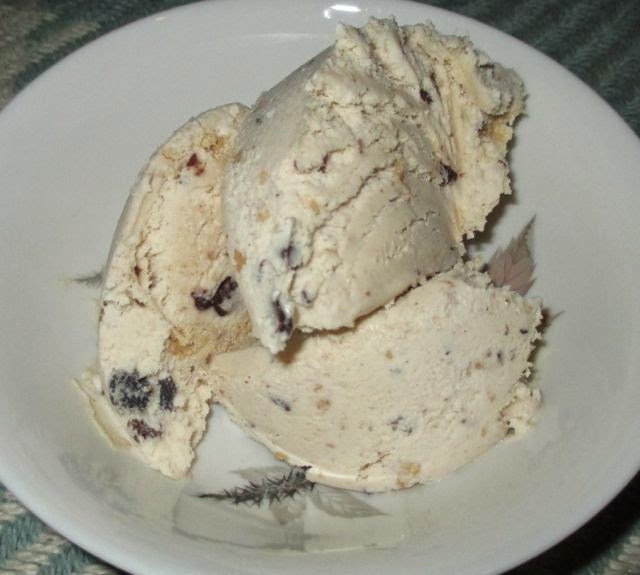 Mince Pie flavoured ice cream was the obvious choice on what to try next. 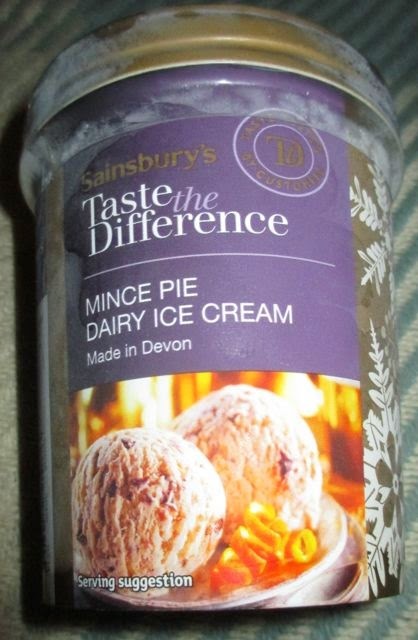 The Ice Cream is from the posh goodies at Sainsbury’s as it part of the “Taste The Difference” range, all the more reason to feel bad about having not tried it out sooner. The ice cream wasn’t too difficult to serve, it was firm, but scooped easily enough with a bit of encouragement into bowls. The base colour was a pale cream, but there was plenty of goodies packed in. The flavour was absolutely spot on. There was plenty of mince pie flavour, from juicy currants to orange and lemon peel, giving it a good mix of texture too. The pastry bits were lovely buttery and soft, and there was a generous helping of seasonal spices for good measure. The base flavour was that of cream, and added a bit of festive luxury which was a nice pick me up after the blues of going back to work. With its sweet and spicy filling it was just like eating a mince pie soaked in a good tipple of cream, heaven.